Christmas is almost upon us and I don?t know about you but when the stress of the shopping and all those preparations becomes too much I like to escape into the countryside for a walk. Over the last few days we have had lots of snow and it certainly makes you feel festive. 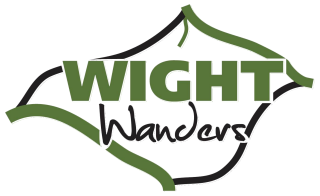 We have kept our walks within a couple of our favourite woodlands around Brighstone and Chillerton making the most of the shelter. 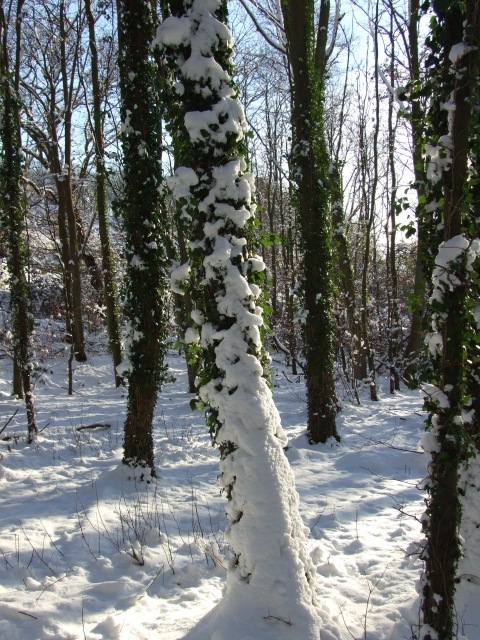 The thick carpet of snow makes a fairy-tale landscape more like Narnia than the Isle of Wight. Children get so bored and over excited this time of year, once they break up from school the days leading up until Christmas can feel too long. 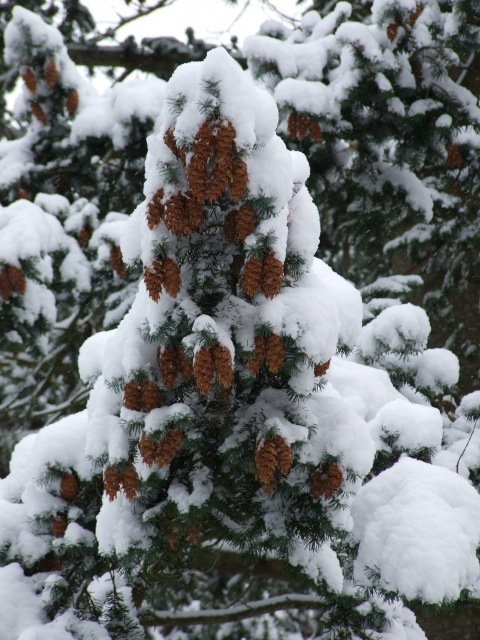 Get them outside in the fresh air arrange a Christmas treasure hunt looking for fir cones, berries, feathers etc. 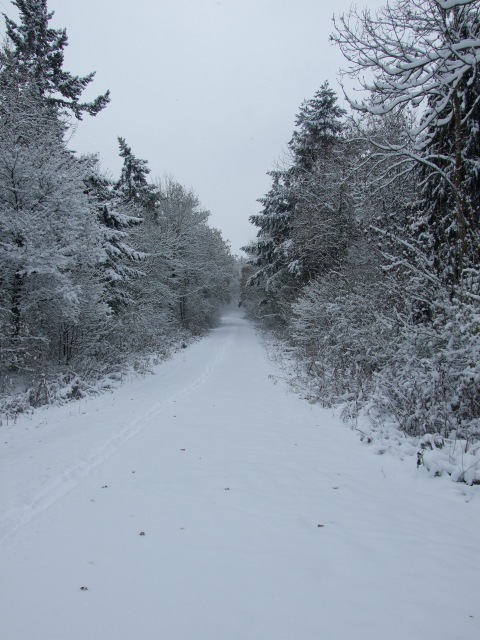 Arrange for a snowy photo expedition and use the photos to make Christmas cards or gifts. Prepare winter picnic certainly get an appetite after a chilly winter walk. 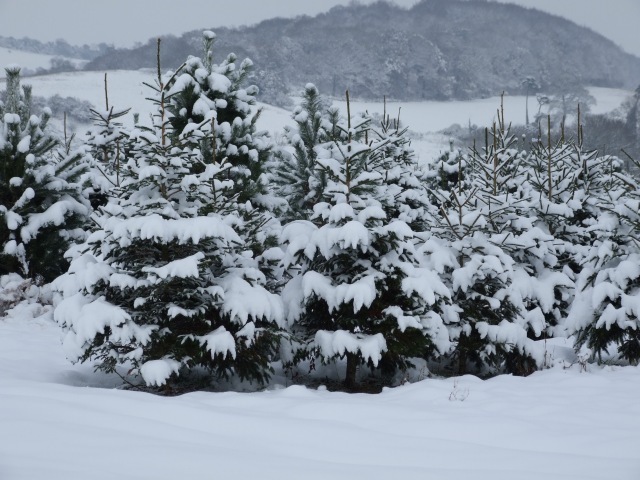 There is a long tradition of bringing evergreens into the home and it helps to cheer up the house when it is cold outside. We are having a natural country theme to our decorations this year and have made a garland and wreath with holly, ivy and some old Man?s beard and filled a glass vase with fir cones which looks lovely. We have made a branch centrepiece painted bare branches or Sycamore with white emulsion paint and sprinkled with silver glitter, we have put the branches in a vase but you could use a variety of containers and secure with an Oasis block. I am busy baking some gingerbread biscuits to hang on the branches, the house smells so Christmassy. Merry Christmas to all our walking and cycling guests. We hope you enjoy your Christmas festivities and have a happy and peaceful new year.